As part of this year’s RHS Chelsea Flower Show, the fringe festival has been extended to include Brighton and beyond. 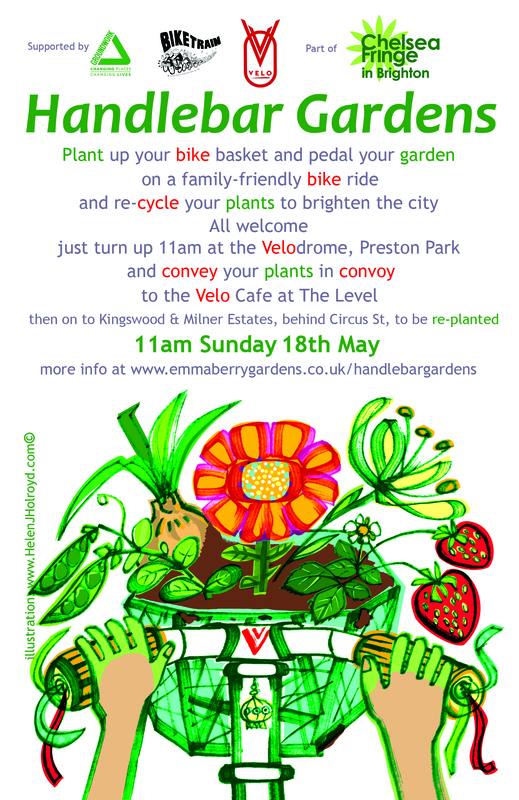 The Handlebar Gardens event welcomes everyone to join in with a family friendly bike ride with bike baskets planted up with whatever plants participants wish to brighten up the city. The ride is scheduled for Sunday 18th May. 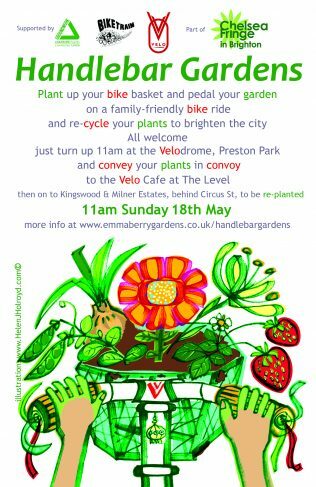 Meeting at the Preston Park Velodrome at 11.00 am ready for a Midday start heading through Preston Park to the Velo Cafe at the Level and on to replant in the community flower beds of the Kingswood and Milner Estates (behind Circus Street). The beds have been prepared by the resident’s association and Groundwork who have donated topsoil and tools ready for the replanting. Any plants you can spare will be gratefully received. The riders will be accompanied by Brighton’s fabulous Bike Train complete with a sound system and speakers, if you’ve never ridden in a bike train convoy, now’s your chance!